Takata has been accused of knowing its airbags were defective long before the deaths and injuries, according to two former employees of the Japanese manufacturer. The workers told the New York Times that Takata knew about the defects as far back as 2004. The company learned one of its airbags exploded and ejected metal pieces at a driver in Alabama, so it apparently began secret testing at its U.S. headquarters located in Michigan. The testing was conducted outside normal work hours and was never disclosed until recently. After three months of secret testing, employees realized the problem was with the welding on the airbag’s inflator canister, but the investigation was shut down and employees were told to destroy all testing data. Four years later Takata reported the faulty airbags in a regulatory filing. 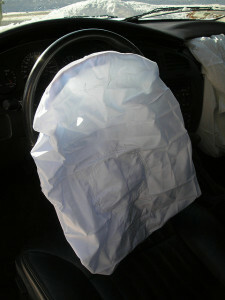 In November 2008, the first Takata airbags were recalled. The law requires that car manufacturers report safety defects to the government within five days once they are identified. In 2008, Takata’s airbag recalls slowly unraveled, but last month the National Highway Traffic Safety Administration gave these recalls a big push. NHTSA issued a consumer advisory which urged drivers to immediately check if their vehicle’s airbags had been recalled and to arrange for a repair as soon as possible. This year has seen the most auto recalls in U.S. history. To date, 11 car manufacturers have recalled more than 14 million vehicles worldwide. In regards to Takata, four deaths have been linked to the defective airbags and at least 139 people have been injured. Anyone that was harmed by an airbag explosion, regardless of fault in the accident, could be eligible to seek financial compensation from the liable party, and a Florida Personal Injury Lawyer at Whittel & Melton can help you through this process. For more information about your legal options, please call us today at 866-608-5529 or contact us online.